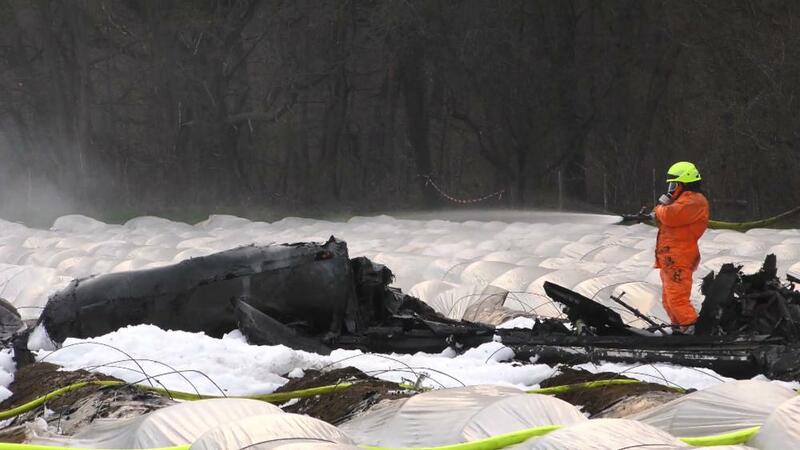 Nataljia Filjowa, owner of the russian airline S7, died today on a german field when her small aircraft crashed there. She was in France for a business contract, together with her assistant. On her way back her plane smahed into the ground. Filjowa, her assistant and her pilot died. @JohninMK @magnumcromagnon our friend is back! George1 wrote: @JohninMK @magnumcromagnon our friend is back! Yes the Escar-Gaul has returned with his pile of salt to wiggle and shrivel to lol! Dont know why you act like retards, but ok.
Only 59 were build so far. News say inside the plane were Filewa, her father and the pilot. Looks like it's a new model. Wiki says certification and first deliveries scheduled for early 2019. When you look at the wreckage you see 2 propelelr blades intact. This means the engine was not running when the aircraft smashed into the ground. My guess is it had an engine failure and pilot lost control. This aircraft needs relative high landing velocity, because its rather small wing size. Losing engine power during landing can cause a stall. Or there was not enough fuel. The surroundings don't look burned, so there was no explosion. the critical issue is fueling failure and not engine failure. tampered with unlike analog gauges. Some retaliation is in order. As it looks something happened with the engine. It says they did not even send an emergency call. They just disappeared from radar and weng silent.